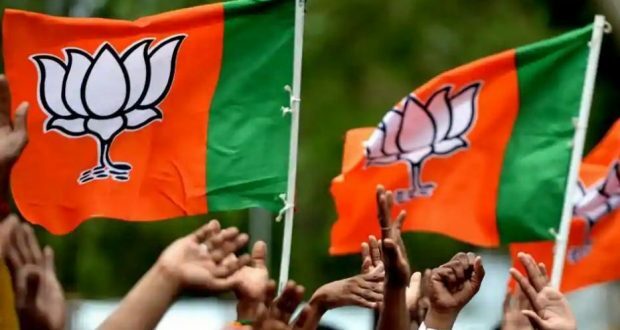 Newdelhi:2/11/18:The BJP on Friday released first list of 177 candidates for Madhya Pradesh Assembly polls slated for November 28. Party has also released list of 28 candidates for Telangana and 24 for Mizoram elections. As per the list released on Friday for 177 candidates, Party has denied ticket to more than 27 sitting legislators. Two ministers have also been denied tickets. Khajuraho MP Nagendra Singh has been given assembly ticket. Dewas MP Manohar Untwal will also fight election. Former Minister Kamal Patel given ticket from Harda. While, Maya Singh has been denied ticket from Gwalior east.